If you ever suffer moisture-related issues after a storm, call SERVPRO of Northwest Dallas at (214) 361-7887 any time of the day. During a storm, it is possible that rainwater can saturate several of the building materials and contents inside your Dallas apartment. In some cases, moisture can leak in from your roof and cause your home extensive flood damage. 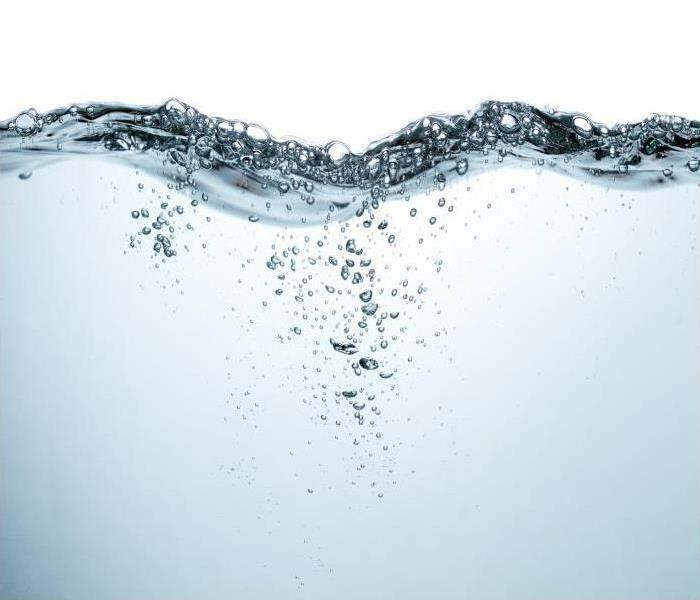 When water comes in from above, it can saturate many of your building materials as it follows gravity to the ground. If the leak is slow, moisture can seep into structural components without you realizing it right away. If items such as the materials that make up your roof stay wet for too long, it is wise to call in a professional flood damage restoration company like SERVPRO. 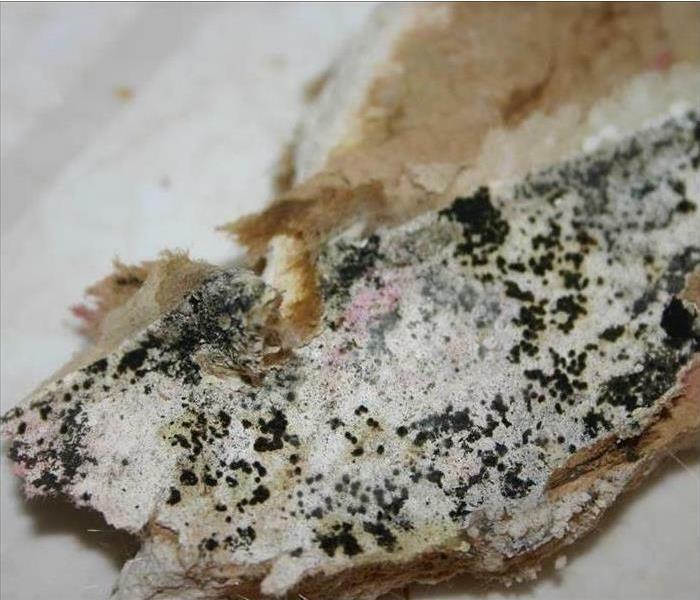 Any time organic substances such as building materials or contents containing paper or wood get wet, there is a chance fungi can form. Preventing mold growth and other secondary problems is always our SERVPRO technicians' goal when mitigating any flood damage in Dallas. We know that it takes a fungus 48 to 72 hours to develop. Therefore, we work towards drying out any organic materials inside your home within that period. We can accomplish rapid structural drying by changing the atmosphere so that it speeds up the natural evaporation process. By creating air circulation and removing moisture from the air with specialized equipment, we can dry out building materials rapidly. However, when moisture comes into a structure from the outside, there is always a possibility that it can be contaminated. Rainwater itself could contain harmful bacteria or parasites, so problems are treated differently than issues related to clean water plumbing failures. The rain that gets any of your building materials wet is considered grey water, and the problem is labeled as category two damage. If the water entering your apartment comes from the ground and is muddy than the possibility of contaminants being present is higher. Dirty water that enters a building is considered a category three problem and gets treated the same way as sewage backups. Any time there are wet items on the interior of your home after a storm, we take measures to disinfect wet materials to prevent the spread of harmful microbes. 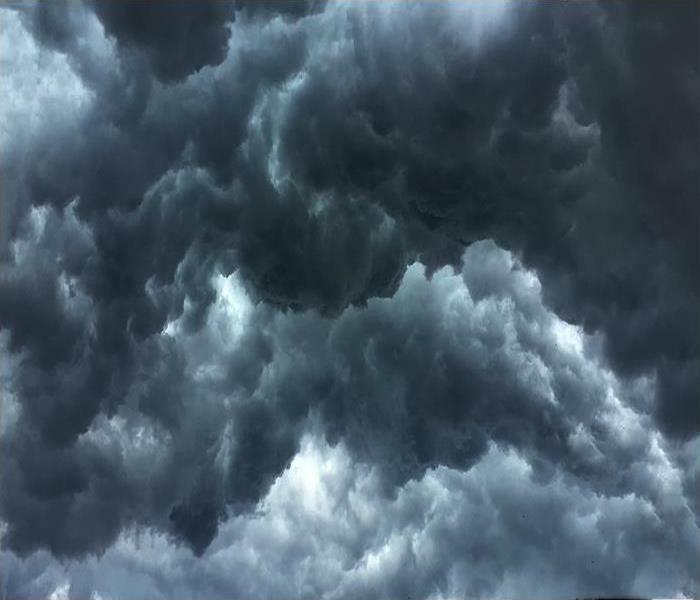 If you ever suffer moisture-related issues after a storm, call SERVPRO of Northwest Dallas at (214) 361-7887 any time of the day. In case of a water spill in your property, call SERVPRO of Northwest Dallas at (214) 361-7887 any time. 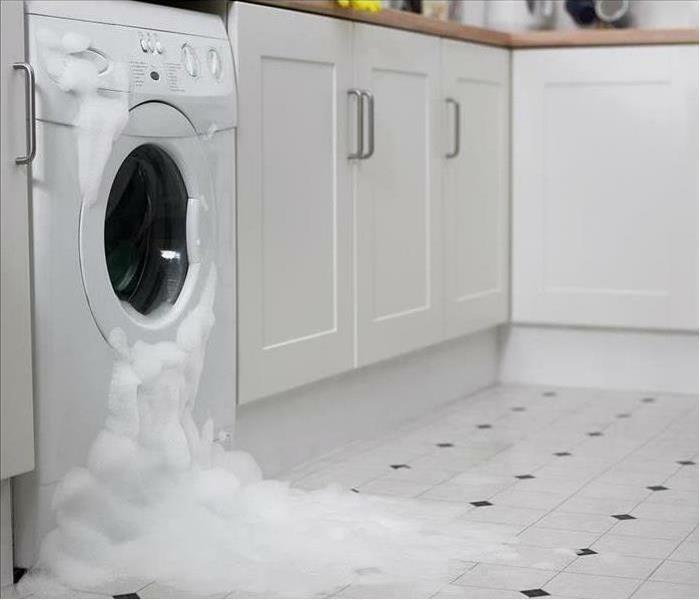 Sometimes water loss happens due to simple mistakes during routine procedures such as setting up a newly purchased washing machine. 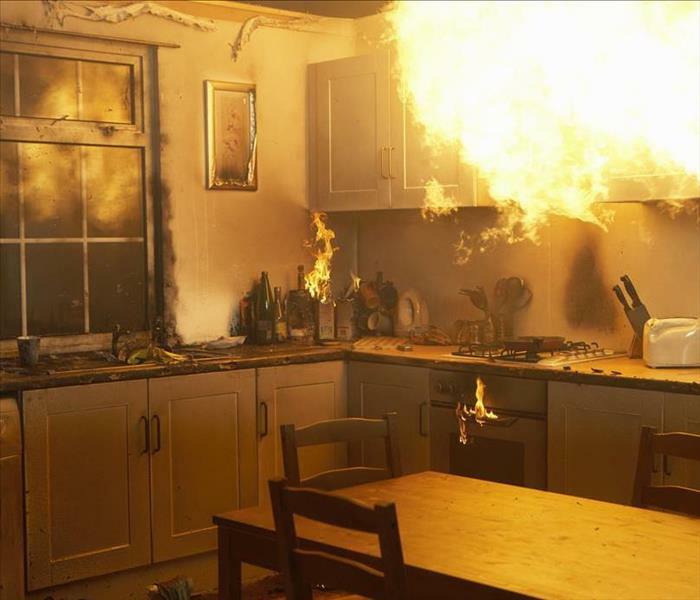 If you fail to hookup the appliance properly, a significant water spill can occur causing damages on the floor, subfloors, and materials in the immediate surroundings. Removing such water fast is crucial. Specific steps taken during the process can increase convenience. Water soaks into porous materials such as carpets fast complicating the process of water removal in Dallas properties. Drying the water may necessitate removing the carpet, which is a tedious process and there is a risk of damaging the carpet, baseboards or other materials. In-place drying is another viable option, but it takes time and increases the risk of mold development in the property. Our SERVPRO technicians rely on simple approaches such as floating carpets for efficient in-place drying. During this process, we place the air mover vent below the carpet allowing the carpet and the floor below to dry evenly. Water removal processes can soil the house with debris and other wastes especially if flood cuts or vent holes are necessary to remove water from wall cavities. Cleaning such debris from the property can extend the water removal process. Our SERVPRO technicians rely on simple steps such as covering items with plastic sheets or creating containment zones where they open up wall cavities limiting the areas they soil in the process. Such steps guarantee a quicker conclusion of the removal processes. Water removal can take days, weeks or even longer especially if it migrates to many sections of the property. A longer wait can be a great inconvenience to the occupants because it might force them to move out of the property. Our SERVPRO technicians take several steps to expedite the process. We use high capacity equipment such as truck mounted water extractors to remove standing water fast. We also use several units of air movers and dehumidifiers to dry wet materials rapidly minimizing the period affected areas remain wet. In case of a water spill in your property, call SERVPRO of Northwest Dallas at (214) 361-7887 any time. We’re Faster to Any Size Disaster. 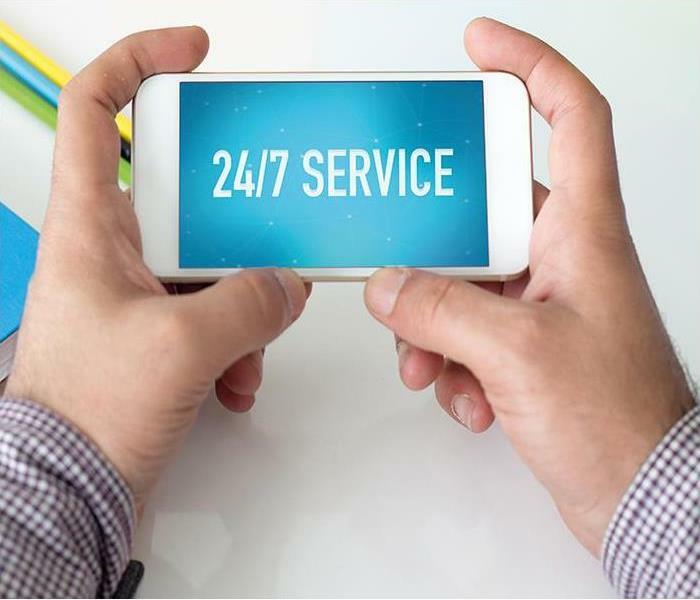 If you require our services, call us at (214) 361-7887 today to schedule a visit. Small business in Dallas is particularly vulnerable to disasters like fire and flood. They do not have the assets of a national network to fall back on, so shutting down for restoration and cleaning for even a week can mean closing their doors permanently. Commercial flood damage to a Dallas business like a convenience store needs cleaning by a professional restoration company. 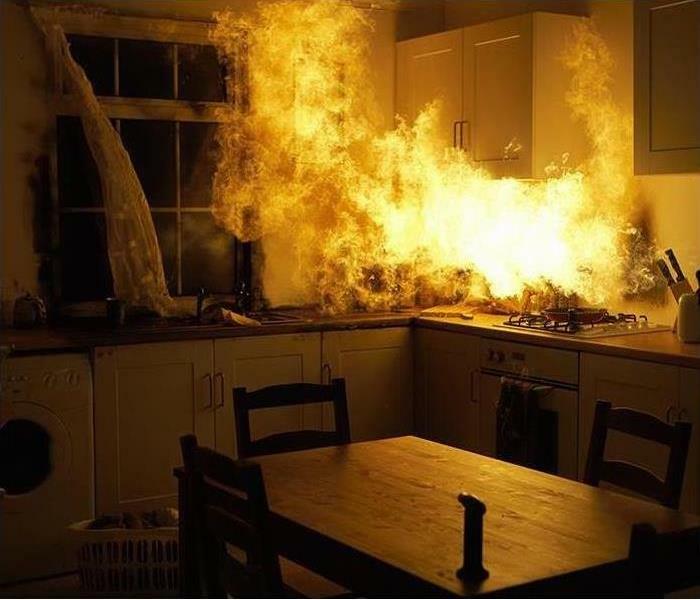 SERVPRO technicians train extensively to remove water, replace unsalvageable building material, and dry all restorable property. Most commercial water damage comes from an activated sprinkler or a broken water line. That is treated water, and considered clean, requiring no special efforts to remove it from the business. With flood damage, water comes from outside, usually after a storm. This water is contaminated and can contain soil and other contaminants like pesticides and animal waste. Before starting other efforts, technicians spray the water and all affected surfaces and items to kill any bacteria. Now, they use pumps and extraction wands to remove the water. The commercial pumps work best with water higher than an inch or two. If the water is only about ankle-deep or lower, technicians start with the extraction wands for more efficient removal. 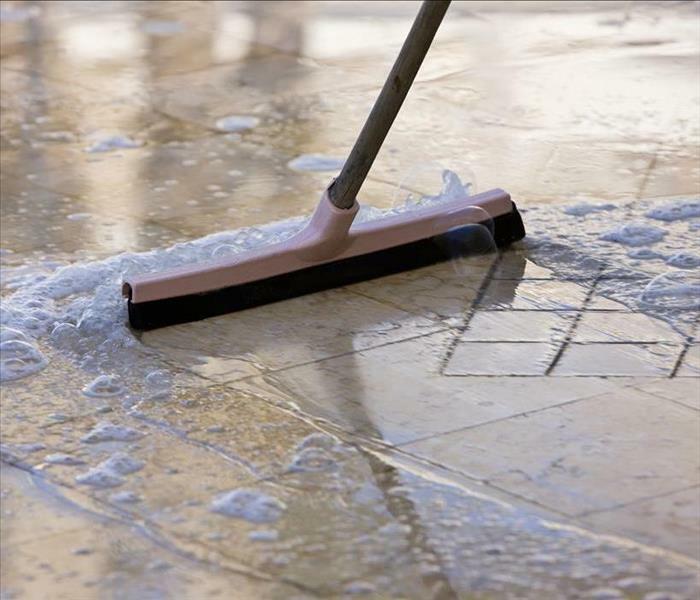 Since this is a convenience store with little or no carpet, SERVPRO team members then force any trace amounts of water out the nearest exit using long-handled squeegees. Next, one of our inspectors determines if there is any permanent damage to floor trim, paneling, or ceiling tiles. Each of our team members can quickly remove affected building material with a minimum of disruption to the rest of the store. For equipment that is wet, but otherwise undamaged, our personnel set up fans inside to force the damp air outside. It lowers the humidity and speeds up the normal evaporation process. To further increase the rate of drying, technicians also set-up air movers to force warm, dry air across and under equipment and shelving. 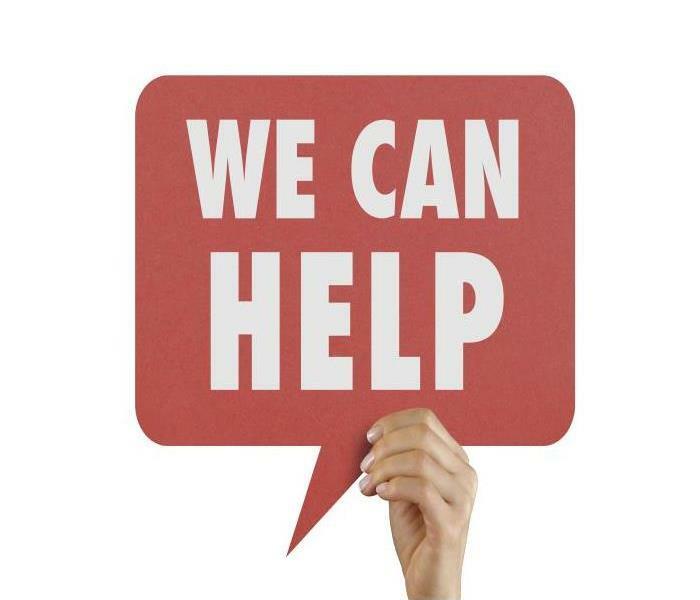 No matter what your business, or how floodwater entered into it, our goal at SERVPRO of Northwest Dallas is to help you reopen so, you can begin supporting your customers once again. 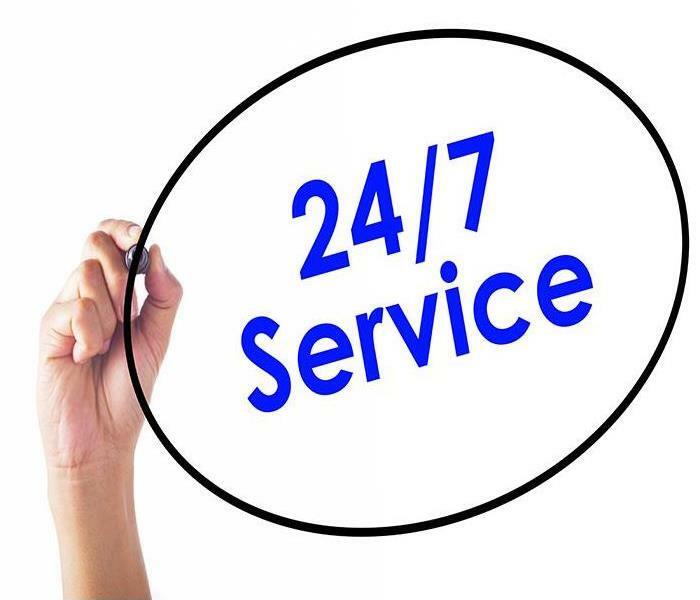 If you require our services, call us at (214) 361-7887 today to schedule a visit. 4/5/2019 - If Your Dallas Bathroom Experiences A Water Damage Disaster, We Can Help!